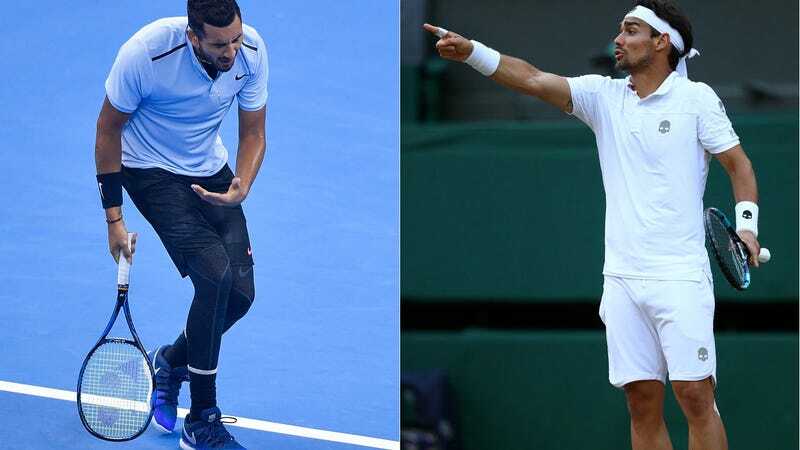 It’s no secret that tennis is populated by tempestuous dingbats, and today two such guys were struck with big fines for bad behavior. After Nick Kyrgios abruptly left the court at the end of the first set in Shanghai, the Australian skipped a medical evaluation, which is tour protocol for any withdrawal—the idea being that a player can’t bluff their way out of a match without a genuine medical cause. His excuse of a stomach bug didn’t fly. 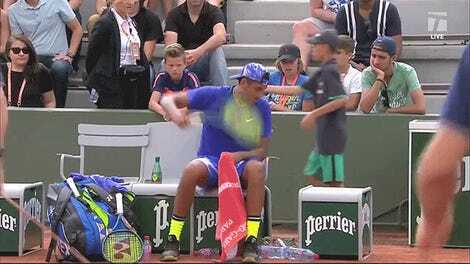 An ATP spokesperson told me that due to his skipped evaluation, Kyrgios was stripped of his $21,085 in first-round winnings, on top of the $10,000 fine he already faced for unsportsmanlike conduct (he received a point penalty after smacking two balls out of the court and screaming obscenities), summing to a $31,085 that still falls short of the fines he earned last year at this tournament. 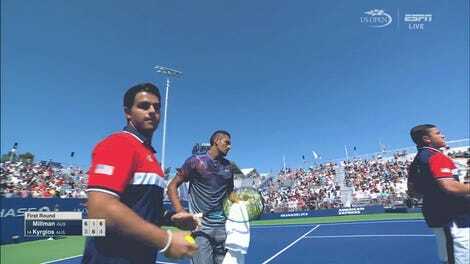 Kyrgios theoretically lost money by showing up to play in Shanghai. Rowdiness in tennis is good, and keeps things lively, so long as the anger’s mostly inwardly directed. It seems pretty obvious that players should stop well short of calling a female ump a “cocksucking whore.” Surely both players will fully internalize these lessons and won’t do anything like this ever again.